After a quick evaluation, we'll show you how we can provide you with better alarm monitoring systems at a lower cost, while allowing you to keep your current security system. 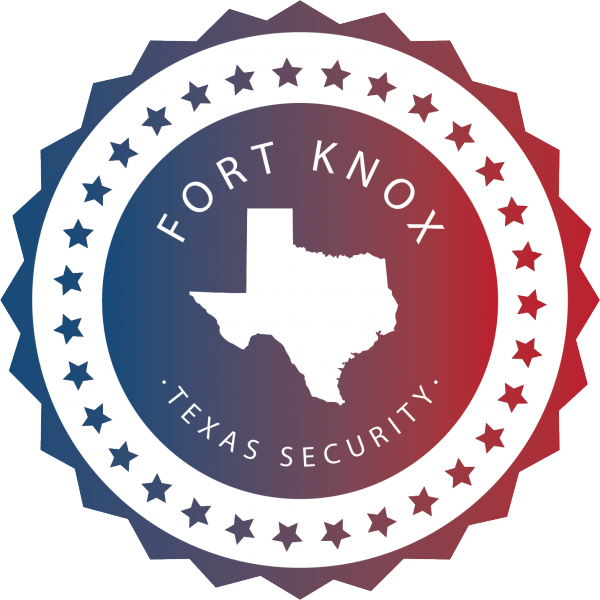 Fort Knox serves the cities in and around Dallas/Fort Worth, Austin, San Antonio, and Houston. Call Now for an easy, no-hassle consultation! "Interactive Services" (the ability to arm/disarm, get instant text and/or email notifications, see history, etc. 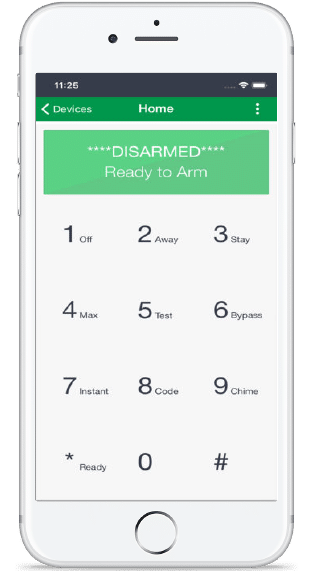 on your Smartphone, tablet, or computer) are available as an upgrade to your existing alarm system – with a $0 Activation Fee! Please call for details. 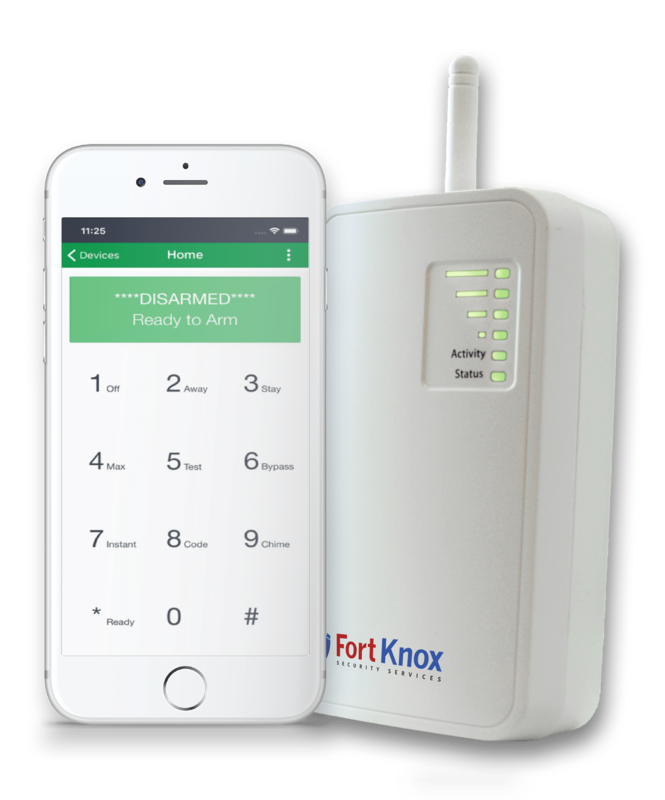 Switch to the leading home security provider, Fort Knox, today. We will make the process easy and will apply our expertise towards making your home as secure as possible. We can take over home alarm monitoring of almost any existing security system*. Call us to see if your system is compatible. If your security panel looks like one of the ones shown, chances are we can utilize your existing system. Don't see your panel? We can still help! Call us for a free consultation and quote. 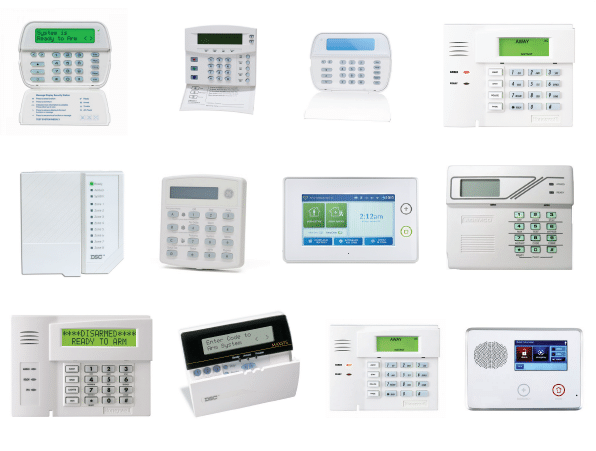 Here are some of the most popular Texas alarm brands that Fort Knox can monitor. Our certified technicians will be able to determine whether or not your system is compatible. In some cases systems may also require updated equipment. See additional restrictions below or call for details! The above logos may be identified on your alarm panel, however you must be the system owner not under monitoring obligation for us to switch service. Control Your System On the Go! Get this add-on for just $4.99/mo. 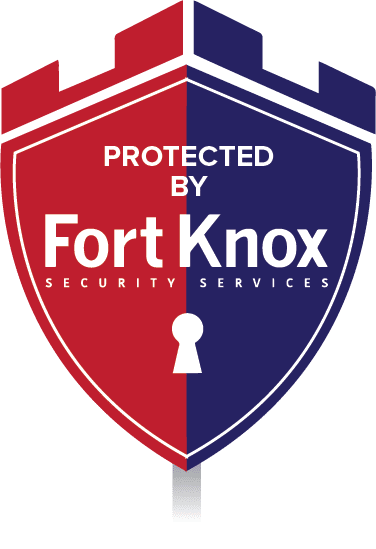 Call Fort Knox Home Security Systems and Get Monitored Within 24 Hours!